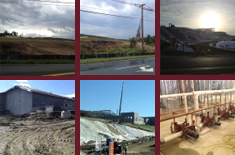 Welcome to the State of Connecticut Plumbers & Pipefitters Local 777 Apprentice Training Committee's web site. Local 777's JATC was formed in February 1994 with the mergers of then Locals 39 New Haven, 84 Hartford, 173 Bridgeport and 305 New London. At that time there were approximately 120 apprentices and 16 part time instructors in the program with classes in Wallingford, Bridgeport and Groton. In 1998 the program grew to over 425 apprentices and 45 instructors. Because of the expanding program, on January 7, 2002 training went from part-time night and/or Saturday to full-time day classes. Currently apprentices attend class for a week at a time, six times a year (approximately every eight weeks) for five years. Classes run from 7:45 AM to 3:30 PM. Apprentice classes include OSHA plumbing, heating and cooling, welding certification, and medical gas certification and air conditioning/refrigeration courses. After the apprentice completes the five-year program they are then eligible to take their State of Connecticut Occupational License test. They will also earn 30 college credits towards an Associate Degree in Construction Supervision, which they may pursue through Local 777. Training is not only for the apprentice. Journeyperson upgrade training is also offered to our members. All training is free with the exception of books for both the apprentice and journeyperson. Local 777 believes that training is the foundation on which any organization is based. We are not only involved with our program but our members also sit on various State Vocational High School craft committees as well as on the State Plumbing and Heating Boards, the State Apprenticeship Council and the Standing Committee of the Permanent Commission on the Status of Women. Local 777 is also involved in the passing of bills to protect consumers. These include specialized Medical Gas training and certification and Continuing Educational Credits for state plumbing license holders.